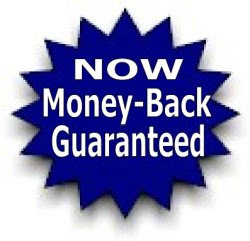 As of the first week of April, when you join Xooma Worldwide (still includes automatic XoomaCREW Membership) your initial product order will now have a complete Money-Back Guarantee! While this sees the retirement of the $9.99 Trial Packs, now everyone can try Xooma 100% Risk Free - regardless of the package you choose, your purchase is now fully covered by the guarantee. Not sure if Xooma is right for you? You now have absolutely nothing to lose by trying it. Order your $25 Pack today through this link and never drink plain old water again.